This being May 2nd, J.K. Rowling, the mastermind behind Harry Potter and the ongoing Fantastic Beasts saga, has taken to Twitter to apologize for Dobby’s death – or, rather, the nature of his tragic passing. As reported by Sky News, Rowling posted a digital epitaph for Dobby the House Elf, arguably one of the true fan-favorites from her Harry Potter franchise. Indeed, as any Potterhead will tell you, May 2nd marks the anniversary of the Battle of Hogwarts, the climactic war between good and evil that lights up the school’s hallowed grounds. But whereas J.K. Rowling reserved most of the story’s major deaths for said battle, Dobby actually perished much earlier in the Deathly Hallows novel – immediately after the moment when he rescued Harry, Hermione, Luna and Ron, as well as Dean Thomas, Griphook, and the wandmaker Garrick Ollivander, from the clutches of Malfoy Manor. And so, just as our heroes apparated (read: teleported) to safety, Helena Bonham Carter’s devious Death Eater, Bellatrix Lestrange, hurled her knife toward the hapless Dobby, ultimately resulting in the untimely death of Potter’s fiercely loyal house elf. We’re not crying, you’re crying! 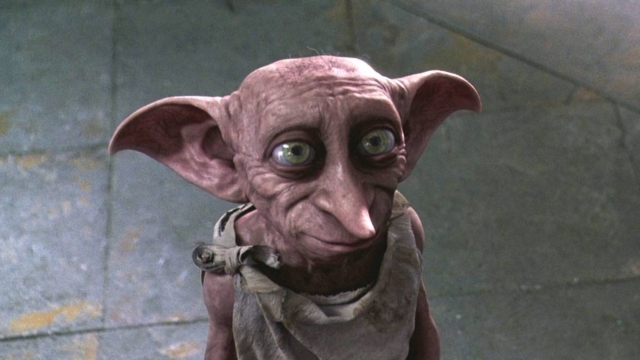 Initially introduced during A Chamber of Secrets, Dobby soon became one of the most cherished supporting players in the entire series, particularly after the reluctant Harry helped free him from his former master, Lucius Malfoy. From there, Dobby landed a gig in the bustling kitchen of Hogwarts, where he remained for several years, only to fall at the hands of Bellatrix Lestrange. Looking to the future, and now that the core Harry Potter series has retired, both J.K. Rowling and Warner Bros. are bracing for the release of Fantastic Beasts: The Crimes of Grindelwald this November.